Model 1240 Rabbit Adaptor holds the animals head by means of zygoma clamps, adjustable tooth bar and nose clamp. An infant and adult tooth bar and nose clamp are included. 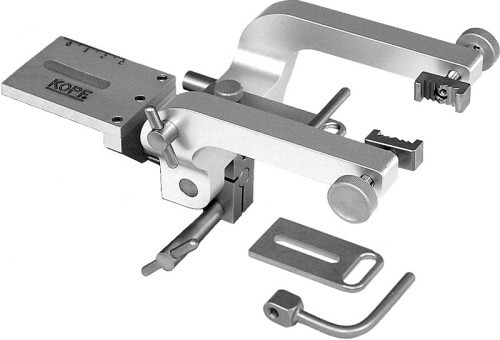 Design features include rotational adjustment to allow positioning of the head in two planes. A screw adjustment allows precise alignment of the bregma and lambda landmarks. Model 1240-900 compatible with 900 series frames. Model 1240 compatible with 1430, 1530 & 1730 series frame.